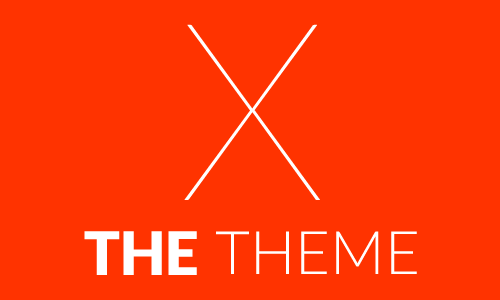 FaultPress premium theme is WooThemes’ flagship pure “application theme” for WordPress. Upon activation, FaultPress theme completely transforms your install, empowering you and your team to refine your product by engaging the community, requesting bug reports, and ticket submission. You can then delegate tasks amongst team members, assign bug fixes to milestones or version releases, and discuss any issues via the built-in messages system. Aside from the obvious awesomeness of this theme for developers, FaultPress has some very cool display properties, namely the fluid layout that completely changes based upon the width of the screen. All page elements are reflowed in such a manner that anyone accessing your site from any device will be ensured to have a superior user-experience. Check out FaultPress premium WordPress theme’s many features below and then give it a try at the end of the post! 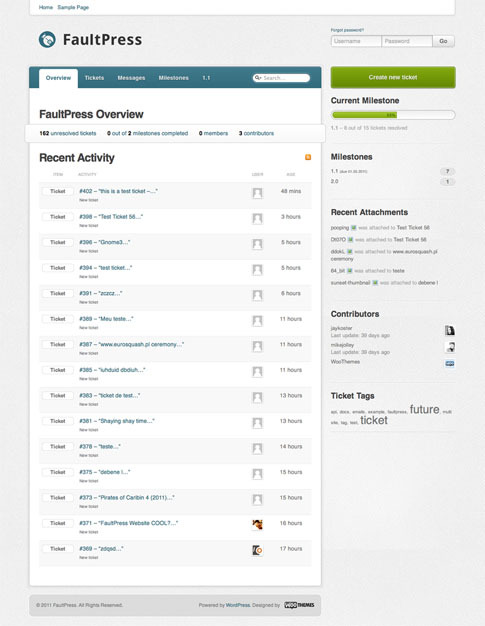 Advanced Ticket System — The core feature of FaultPress is it’s ticket system. Individual tickets can be assigned to team members for action and given a status and a priority to help identify action points. They can also be tagged to aid navigation and have attachments to help illustrate any problems described. Milestones — Some bugs are show-stoppers while others are less important. With milestones you can manage tickets into version releases based on their criticality. Messages — Messages are a great way to interact with your team/community. Functioning much like a blog, they allow you to post ideas for feedback or general announcements. Users can interact by posting their own thoughts in the form of comments. Unlike a blog however, you can specify whether messages are viewable to the public or kept private for registered team members. Comprehensive Overview Page — The main overview page in FaultPress theme greets you each time you log in. It displays the project description as well as a statistical low-down including the total amount of unresolved tickets, milestones, members, and contributors. Most importantly, the overview page displays all the latest activity including new tickets, milestones, and messages as well as any updates to tickets including a change of status, priority, the addition of tags, or attachments. Mobile Support — If you can’t resist checking in on business while you’re out and about, you’ll be pleased to know that FaultPress premium theme has been optimized for mobile devices. Utilizing CSS3’s media queries, there are dedicated stylesheets for widescreen desktop displays, iPads in portrait/landscape orientation, notebooks, and smart-phones in portrait/landscape orientation. Seamless Integration — WooThemes has designed FaultPress to work seamlessly on top of WordPress. 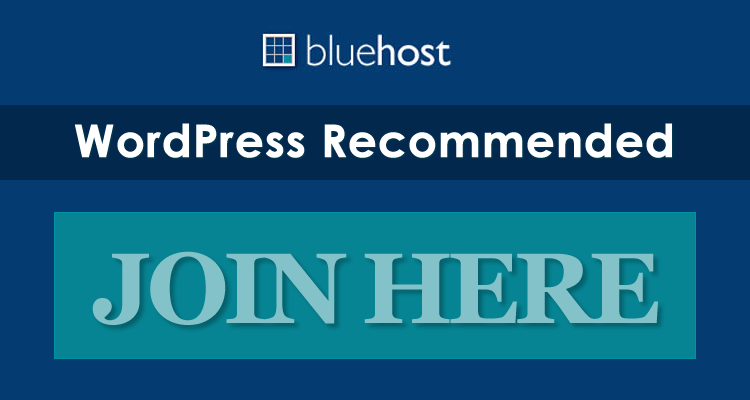 To enhance the application experience, they’ve endeavored to ensure that you need not venture into the WordPress admin panel to administer the system. Multi-Site Support — FaultPress has been developed to support WordPress multisite. This means that you can manage multiple projects using the FaultPress system all running off a single WordPress installation. Custom Email Notifications — When logged in you can ‘watch’ tickets and messages. This means you will receive activity notifications delivered directly into your inbox in real-time. Cutting Edge HTML5 & CSS3 — WooThemes has ensured that the FaultPress front-end has been written using the very latest HTML5 and CSS3 code. In fact, besides iconography and the logo, the only image used in the entire design is the body background image. This ensures rapid load times and that changing the overall look and feel is a piece of cake. Making simple changes without editing code — like adding your own logo, changing to an alternate color style, or adding Google Analytics — couldn’t be easier with WooThemes’ backend options panel. WooThemes has tested their layouts to ensure they are compatible with all the modern web browsers like Firefox, Safari, Google Chrome and Internet Explorer. All are web standards compliant. An image resizer script built into the Woo Framework automatically scales your post images for pixel perfect display in your template. No need to upload new cropped images when re-designing your website. All themes are built on the same Woo Framework — modifications through the options panel are a breeze, and all is neatly coded for search engine readiness and further theme development. Every WooThemes layout comes packaged with a full-width page template without the sidebar, and sitemap/archives page templates for efficient quick links to all the hidden posts you wrote ages ago that still deserve to be seen. It costs slightly more than WooThemes’ other WordPress layouts; however, it unlocks loads of additional functionality. FaultPress comes bundled with the PSD file, but does not include any bonus themes.